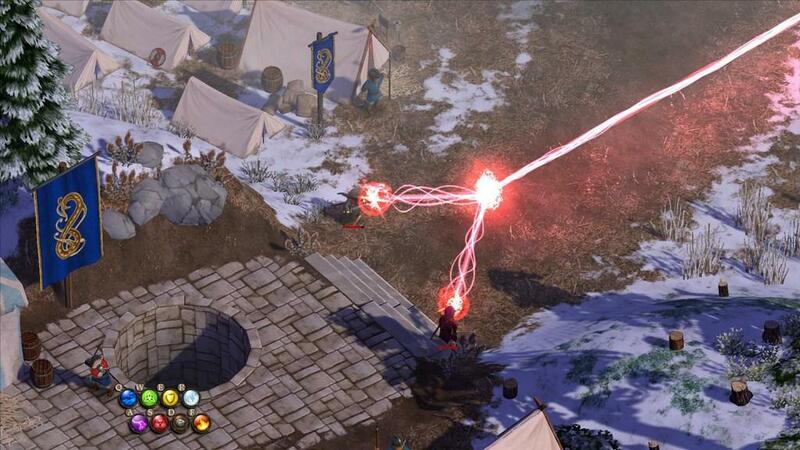 At first glance, Magicka seemed to have everything I could want in a game--action-RPG goodness, a novel spellcasting mechanic, and a relentless tongue-in-cheek assault on every part of geek culture. And all of these things were fun, for a while. 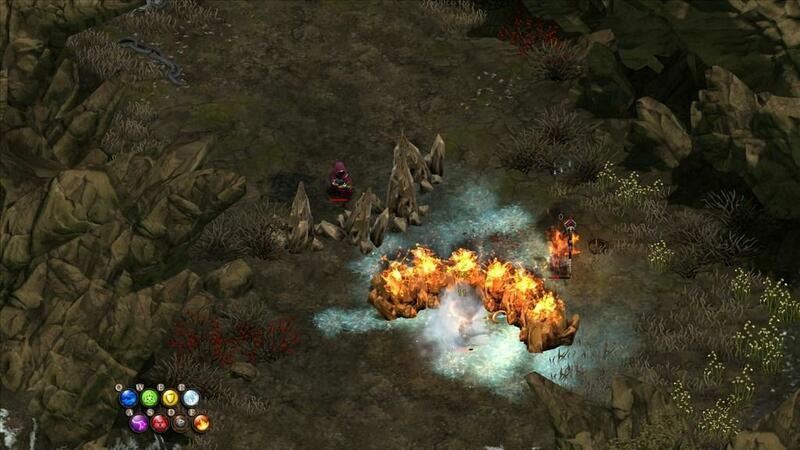 But after the hundredth exploded goblin and untold number of accidental deaths, Magicka begins to stale. Players begin the game as brightly-robed wizards-in-training, and the game wastes no time kicking off the action. In a comically brief exposition the entire plot is laid out, and the mayhem begins. 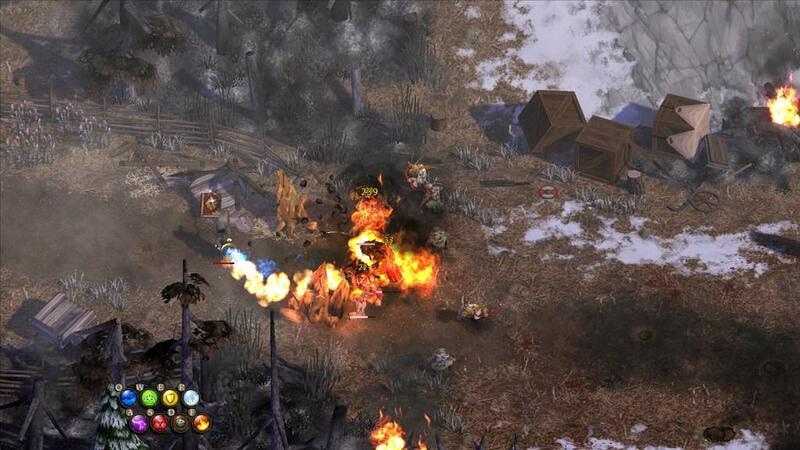 Boiling the action-RPG genre down to its bare bones, Magicka gives players almost all of their entire arsenal of powers in the first few minutes of the tutorial dungeon. Although armed with a crude staff and sword, most of the firepower comes from the wizardlings' abilities to channel eight elements of power. Each element is bound to a hotkey, and casting a spell is as simple as hitting a key and clicking the mouse. Well, that's not entirely true. 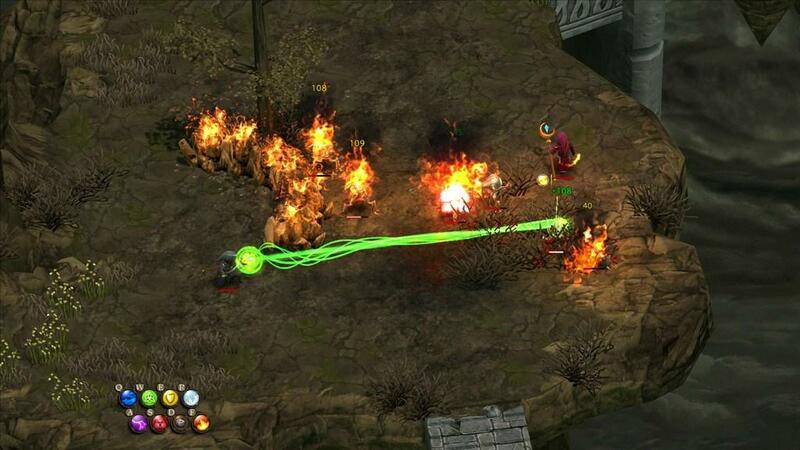 The magic system in Magicka is actually quite innovative and anything but simple. A straightforward, single-element spell can be cast with just a quick keystroke, but for players to actually stand any chance of survival, they will have to learn to combine and weave the elements into much more complex patterns. Spell combinations, consisting of up to five elements, make for the most potent of magicks. Given that there are eight basic and two hybrid elements from which to choose, the sheer number of magical effects that can be called forth can seem overwhelming. Experimentation is key here, and many of these magical experiments can go catastrophically wrong. After a while, the whole system begins to make a sort of intuitive sense, and it becomes apparent that many of the spell combinations are minor variations of each other. While the spell experimentation and discovery of new combinations is fun at first, I found myself settling into five or six default patterns. Unfortunately, almost all of these patterns required at least 6 to 10 keystrokes to pull off, making for an overly-complicated dance every time I wanted to make a single attack. Imagine typing "QFAASS-shift-click" or "QRQRQRQRD-hold mouse-click" over and over, ad nauseam, until all the enemies were chunks of goo. But for a few bosses, there was little challenge once I figured out a few of my favorite spells, and the game devolved into a frenetic key-fest. My biggest problem with Magicka was the lack of any sense of advancement. 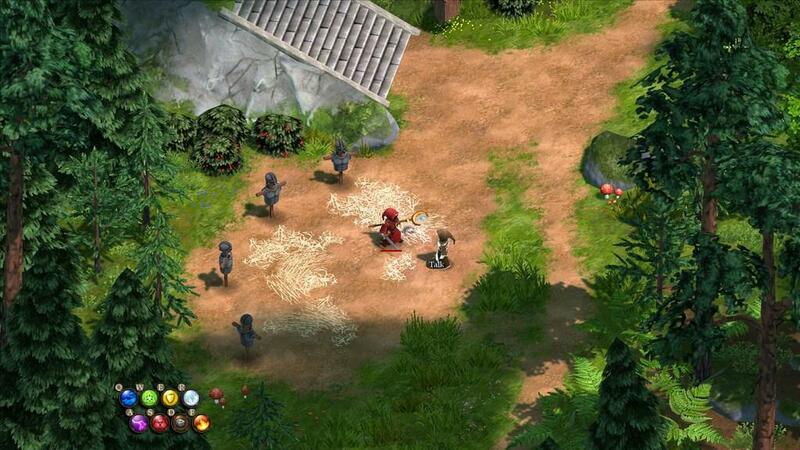 There are very few weapons to collect, and players can only carry a single staff and sword at a time. There are some special combination spells to find, requiring a discovery of an appropriate spellbook and yet another special key pattern. 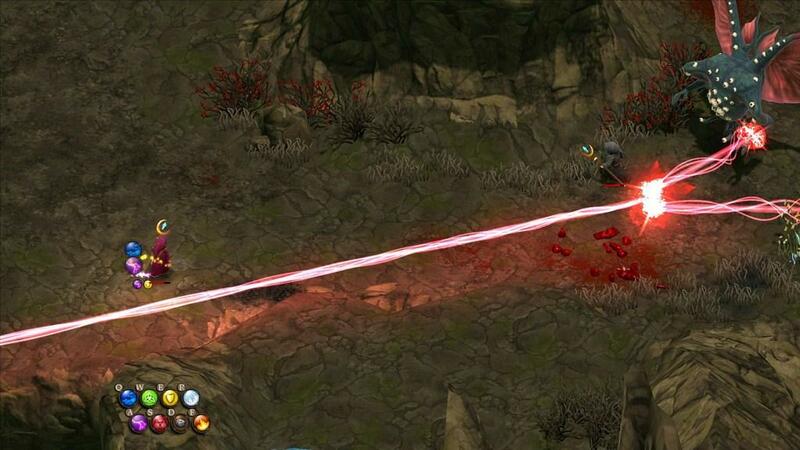 These super-magicks are fun, but some can be even more overpowered than the "regular" spells. For the most part, players have access to everything within a few minutes of play, after which spellcasting is just rinse-and-repeat. There aren't even any resources or attributes to monitor--spells can be cast continuously, with no need for "mana" or "willpower" or any other form of energy. Also, there are no "classes" of character here--each character has exactly the same spells and abilities at their disposal.To be fair, the spell effects look good. Watching a screen full of magic and exploding enemies is entertaining, at least at first. Things can get quite chaotic, in fact, and controlling the wizards can be something of a challenge in the heat of battle. This becomes even more difficult during the multiplayer sessions. Players can gather a few friends together to run the campaign as a team, an endeavor that comes with its own pros and cons. It is vital that everyone actually work as a team--these magicks affect everyone, friend or foe. In addition, various spells can interact with other magicks in...interesting ways. 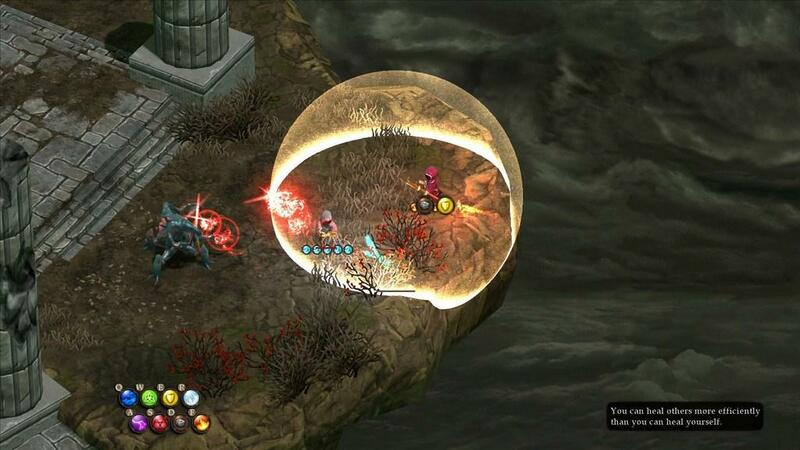 If players are not careful, they can find themselves crossing beams of oppositely-aligned elements and doing more harm to themselves than to their enemies. A screen full of uncoordinated wizards can be much more of a threat to themselves than to anyone else. Thankfully, it is quite simple for any player to quickly revive a comrade and dive right back into the chaotic action. The story is entirely generic, but that's the point. As far as I can tell, each and every element of Magicka is a tongue-in-cheek poke at the genre or of geek culture in general. The writers really took the "throw it all at the wall and see what sticks" idea to heart. Some of the jokes are funny, some truly awful, and most are at least mildly entertaining. That being said, in-jokes and puns are my kind of humor, and those less inclined to amusement of this sort will quickly be gnashing their teeth at the unrelenting onslaught of allusions and clever winks. Even the subtitled "dialogue," which sounds like the Muppet's Swedish Chef gone mad, wavered between funny and painful. Those not in the market for lighthearted (and at times groan-inducing) humor be warned. 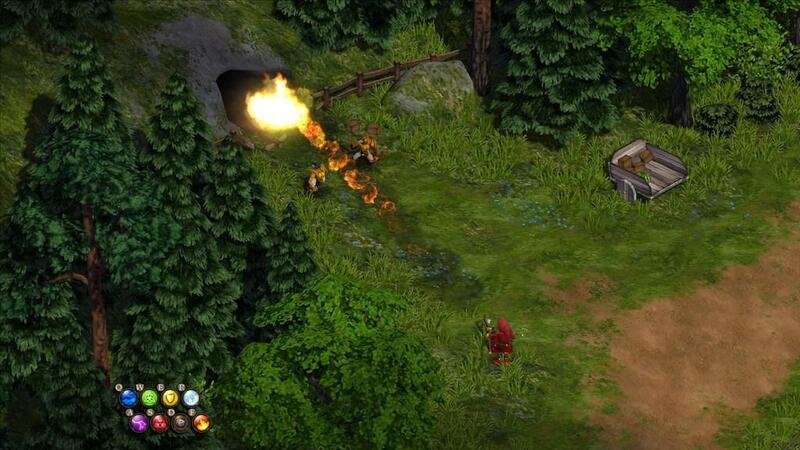 Magicka is initially entertaining and innovative, but its longevity is questionable at best. 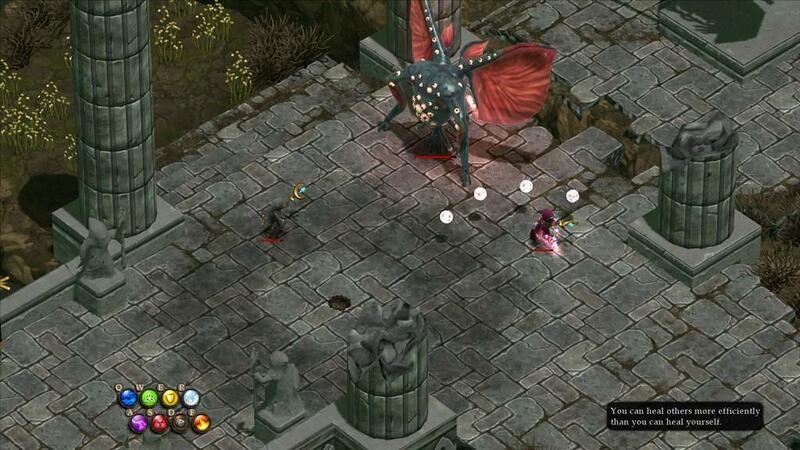 I certainly see no reason to make another run at the game, which for an action-RPG is quite unusual. Without a selection of classes or advancement paths, the first time through was simply enough for me. 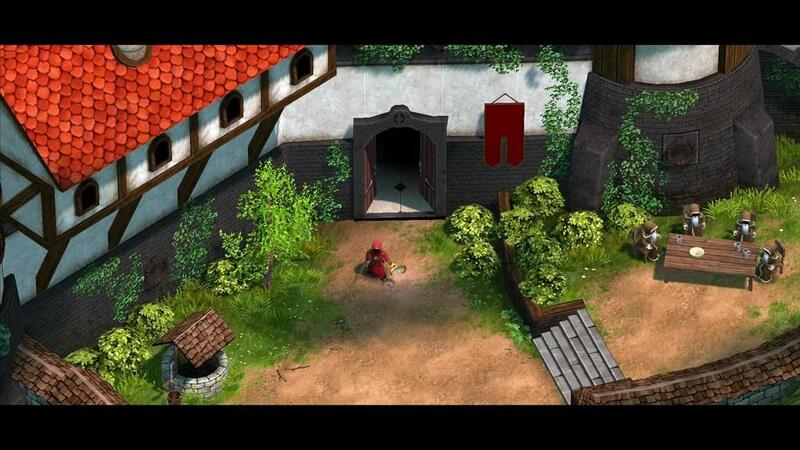 Added to the almost tiring amount of keyboarding required to effectively cast spells, I quickly found myself yearning for a simpler, more elegant action-RPG. I do approve and encourage innovative approaches, which Magicka certainly has. However, it just wasn't enough to win me over for good. 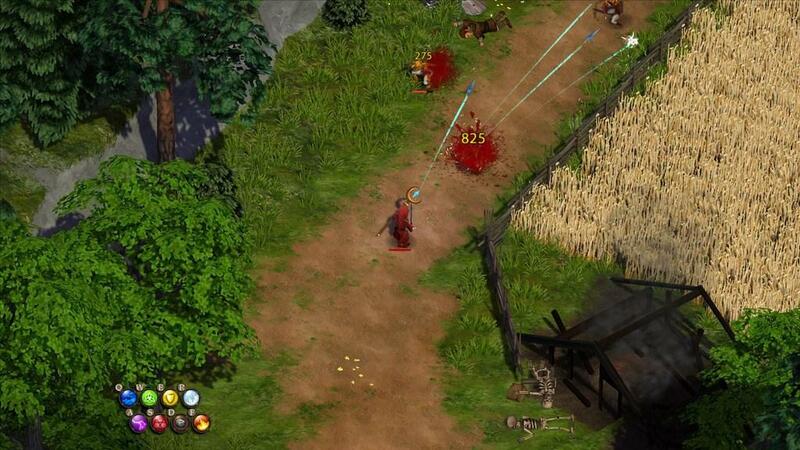 Some clever ideas wrapped in a lighthearted romp, Magicka partially collapses under its own weight of the innovative but overly-complex magic system.